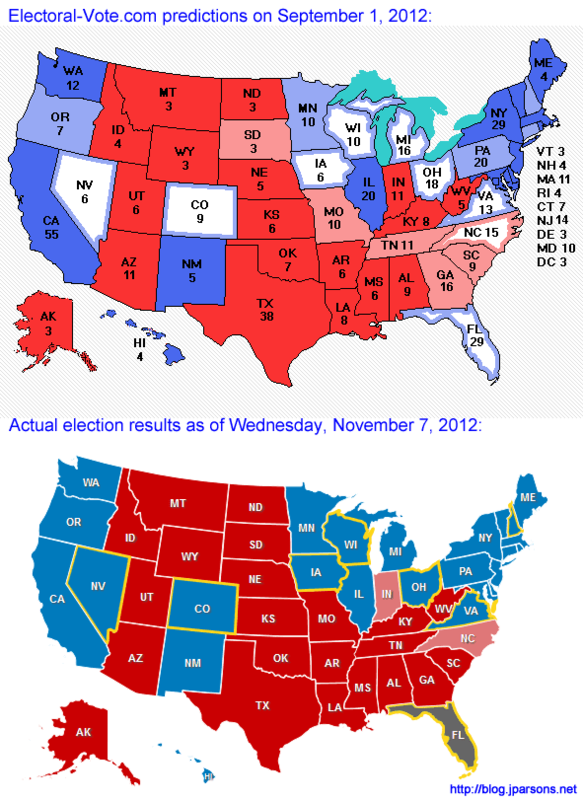 Electoral-Vote.com and the FiveThirtyEight blog both made highly accurate election predictions long before any votes were cast. They did it simply by looking at the results of state-by-state polls instead of national polls. 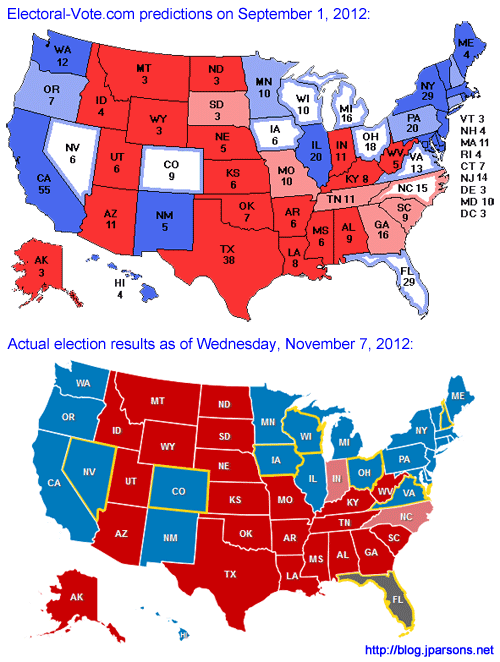 The graphic below shows the Electoral-Vote.com predictions a full month before any presidential debates occurred, compared with the state-by-state election results known as of early morning on the day after election day. Many Democrats wish the U.S. was more like Western and Northern Europe. Good idea? 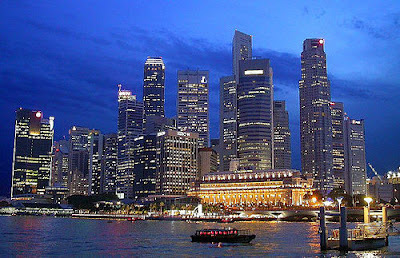 Asia is set to have the world's wealthiest residents, with city-state Singapore heading the rich list. Old World economies will have the worst growth performance in the next 40 years, the report predicts: Spain, France, Sweden, Belgium, Switzerland, Austria, the Netherlands, Italy and Germany are at the bottom of the list. But Japan and its aging population will have the weakest projected growth of all economies, Knight Frank estimates. In general, the size of a country's welfare state and it's rate of economic growth are inversely proportional, because a cushy welfare state (and correspondingly high tax burden) reduces the incentive to work, invest, and start new businesses. That said, government spending isn't always harmful. Government capital investment increases economic growth. Governments should favor spending on intellectual capital (education and scientific R&D) and physical capital (transportation and communications). Why the prolonged economic slump? Housing. The study goes on to note the extraordinary weakness in housing in this recovery and point out that this weakness could explain much of the weakness of the recovery. While the study notes that there are questions of causation (a weak recovery could lead to weakness in housing), there can be little doubt that if residential construction had returned to its pre-recession level, as had been the case by this point in all prior post-war recoveries, the economy would be back near full employment. Of course it is not hard to understand why housing has not recovered. The massive over-building of housing during the bubble years lead to an enormous over-supply of housing, which shows up in the data as a record vacancy rate in the years 2006-10. In the last couple of years the vacancy rate has begun to decline which can explain the recent uptick in housing over the last few quarters. Ultimately we will need an increase in foreign demand, meaning a lower trade deficit, to fill the gap. This will require a lower valued dollar which will make U.S. goods more competitive internationally. 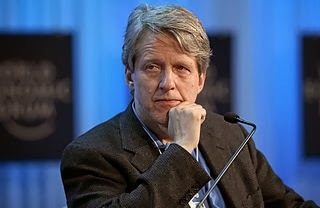 Unfortunately, neither candidate seems willing to make the case for a lower valued dollar, which means that we can probably expect a weak economy for many years into the future, regardless of who gets elected.